In the aftermath of the recent mudslides in southern California that resulted in unprecedented devastation in parts of Santa Barbara County, many are coming to grips with the fact that some of the most destructive consequences of the historic 2017 California wildfire season, announced as the worst on record, have still yet to pass. Montecito and other areas of Santa Barbara County were most affected by the mudslides, with over 20,000 people losing power and 1,000 more being evacuated from their homes, 100 of which were destroyed. So far, there have been 20 confirmed deaths, with victims ranging in age from 6 to 89. Four more are still missing, with 28 others still suffering from injuries sustained in the mudflows. 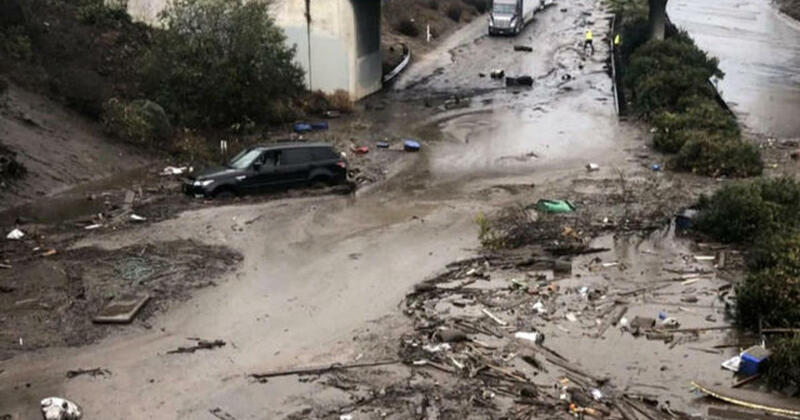 For many of the residents whose homes were affected by the mudslides, this recent tragedy comes as only another blow in the whirlwind of destruction caused by the raging wildfires that tore through southern California only a month prior. With a combined 29 fires burning an estimated 307,000 acres of land and forcing over 230,000 people to evacuate, as well as another 250 fires having ignited in Northern California in October, the 2017 California wildfire season has gone down as the most destructive on record. And as firefighters continue to battle in their efforts to control the last of the flames, many Californians cannot help but wonder the cause of a disaster of such magnitude, and, most importantly, how to stop it from happening in the future. The answer to the former: a combination of dry conditions and abnormally strong Santa Ana winds, all of which may have been caused, in turn, by the growing effects of global warming. It’s no secret that the planet is getting warmer – 10 of the warmest years ever recorded have occurred in the past 20 years, with southern California in particular being affected by the warm conditions; this past October and November have been recorded as the hottest on record for southern California. This increase in temperature may have also resulted in forests becoming drier and more flammable, which in turn provides better fuel and a larger area for the recent wildfires to burn through, according to a study by the Proceedings of the National Academy of Sciences. In other words, climate change leads to drier conditions, which in turn leads to more fires. Santa Ana winds may also be affected by climate change, according to some studies; although research is still largely limited, multiple climate models have shown that the severity of Santa Ana winds could increase as the planet’s climate warms. This could explain why this batch of Santa Ana winds was so particularly strong – perhaps the worst in a decade, according to the LA Times. These winds usually play a significant role in fueling the many fires California faces on a yearly basis—so it makes sense that such an unusually strong Santa Ana wind event would result in such a devastating wildfire season. The aftermath of this destruction—the dry, burned swaths of land left in the wake of the fires—provides an explanation, in turn, for the mudslides that struck Montecito early on the morning of January 9; these burned areas have provided optimal conditions for flash floods and mudflows in the case of any sudden rainfall. As one of the regions affected by the Thomas Fire, Montecito was a prime location for the mudslides to strike – and strike they did. For many of the survivors, however, a simple explanation of the loss of their homes and loved ones may not be enough—with 22 casualties between the southern California wildfires and mudslides, as well as years of rebuilding yet ahead, the past few months have brought only suffering to residents of the Golden State. Yet for still many, an end, however momentary, to this destruction that has plagued California for the past two months is still a sight sweet to see in and of itself.